Loft living has moved far from its roots in the 1970s and ‘80s, when artists reoccupied and converted space within cheaper, industrial buildings to create amazing living spaces in the heart of cities like New York and London. 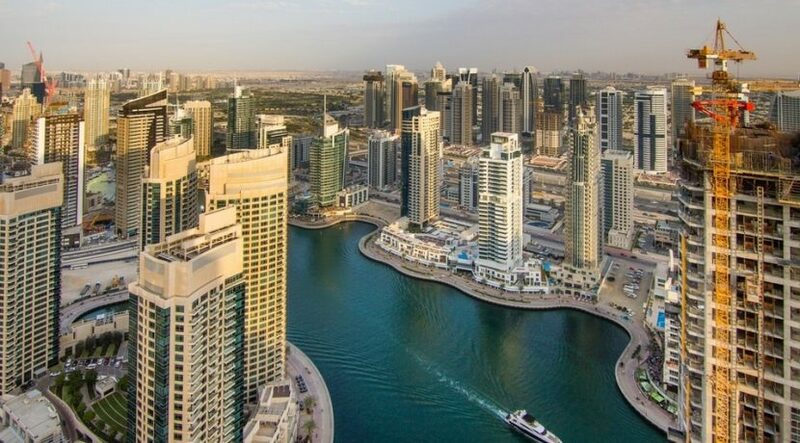 Yet despite most residential units in Dubai Marina and “new Dubai” not existing until about 10 years ago – long after the artists in those original spaces had sold out to financiers wanting to live in the heart of the city – doesn’t mean that the original inspiration behind such spaces has been lost. For instance, this two-bed, Dh3.5 million flat up for sale in Jumeirah Beach Residence retains that original New York feel, according to Daniel Garofoli, a luxury sales specialist at the property agency Luxhabitat. For a start, it was built as a duplex apartment, giving it the type of double-height ceilings and natural light flooding that just isn’t available within simplex apartments. Secondly, this particular unit, which is just below one of the penthouses built in the Murjan cluster, was completed to shell and core by the developer and then fitted out to a bespoke design created by a team from New York. Therefore, exposed ceilings and the raw concrete walls remain in place (albeit painted white), but their starkness has been offset by the interior design and the use of materials, such as the natural wooden floors installed throughout, and light furniture. In total, the 1,736 square feet property contains two bedrooms with en suite bathrooms. The master bedroom has a glass wall that divides the bedroom from the rest of the apartment, but can be closed off for pri­vacy using curtains. The bathroom also has a showpiece free-standing bathtub and a capsule shower. Bespoke fitted wardrobes and kitchen cupboards help to remove any visual clutter, and there is a fitted bookshelf beneath the staircase linking the building’s two levels. Lots of use has been made of technology, too – from the designer German appliances in the kitchen, the Loewe TV with surround sound and a separate cinema projector beaming on to a 10 metres high wall that is visible either from upstairs or downstairs. 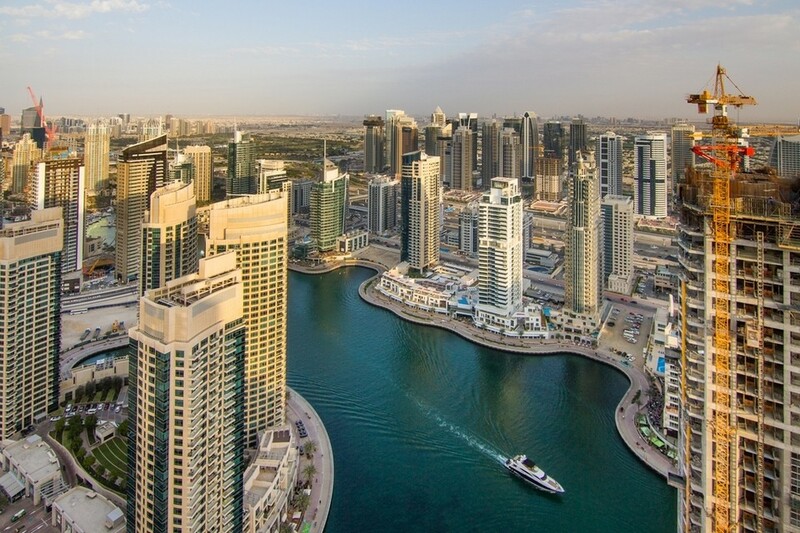 If you’re not watching TV, the views outside of the windows are also breathtaking, looking out on to Dubai Marina and beyond to Jumeirah Lakes Towers and the Emirates Living community. Partial sea views are also available from the bedrooms. How would you describe this flat? It’s young and urban; very Euro­pean in style. Its main selling points are its double height exposed ceiling, the raw concrete walls, the stylish surrounding, the bright colours, the clear and straight lines of the interior design and natural wooden floors. It’s an apartment with a really positive vibe, it gets naturally lit and the white interior reflects the incoming light. A young businessman. He bought it for his personal use but now travels so much for his business that it is rented, for about Dh245,000 per year. Who would live in a house like this? I sold three similar loft-style apartments last year and the buyers were all pretty much the same. They were young, open-minded, creative and cosmopolitan types. The clientele that buys loft apartments is unique and they want to reflect that in their way of living. They don’t wear ordinary clothes, they don’t drive ordinary cars, they don’t want to live in ordinary apartments. They want the “wow-effect” without showing off and want to reflect their personality in the way they live. JBR is a prime beachfront development that consists of six clusters, each with six to eight buildings. Murjan is the first cluster and this is on the 46th floor. Each tower has a community gym and pool area, as well as 24-hour security and gated access. The beach is a two minute walk away from the development and you have plenty of restaurants, supermarkets and shops directly at your doorstep.